Thousands of high schools across the country participate in stock market simulation games every year, but one small private school in Dallas has taken it up a notch. Greenhill School gave its Business Club $100,000 in real money to invest. As a 2005 alumna and a current financial news reporter, I was equal parts jealous and curious. "The stock market game [the students had been] playing was not realistic," Scott Griggs, the head of school told me during my recent trip to Dallas. "This fits in with our philosophy, and Greenhill prides itself on innovation." While real money investing clubs are common at the college level, they're extremely rare at the high school level, according to the SIFMA Foundation, a financial education nonprofit that runs the acclaimed Stock Market Game for students around the world. 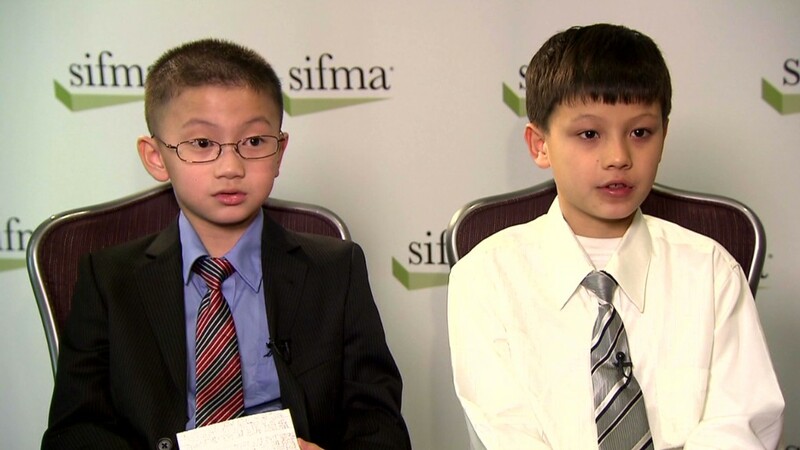 "It's complex to monitor and manage funds in a school setting," said SIFMA Foundation's executive director, Melanie Mortimer. "But for students, the more real world experiences we can give them, the better prepared they'll be for college and their careers," she added. "This generation of students learn better with something that's practical and real world." At Greenhill, the idea to use real money started with Clint Golman, a 2012 graduate who was president of the stock market club during his last two years of high school. Golman, who's currently a Business Honors student at the University of Texas, also changed the club's name before he graduated to broaden its focus. After learning about colleges that allowed student clubs invest and manage real money, Golman made his pitch to Greenhill's administrators to allow the club to "manage a small portion of the school's investments." "We thought that would provide a better learning experience than a game that was all about taking the biggest risk to win," he said. The idea simmered until last fall when the Business Club's new leadership, including Golman's younger brother Hank, made a formal presentation to the school's Board of Trustees' investment committee. Dressed in their finest suits and ties, the club's co-presidents, Hank Golman and Lewis Carlson, along with vice presidents Christian Holmes and Blake Lieberman asked the committee for $30,000 to $50,000 of the school's nearly $30 million endowment to invest. "Everyone on the board was very impressed," said Clint Carlson, a member of the school's investment committee and Lewis' father. He said several committee members thought giving the students real money and responsibility would positively affect how they invested in the future. But he said there were also concerns that donors might balk at "a bunch of 16-year-olds" managing even a small portion of the school's funds. So Carlson, who is also president and chief investment officer of his namesake hedge fund Carlson Capital, led the charge to create a separate pool of money for the students. He got members of the investment committee, who are all parents of former or current Greenhill students, to reach into their pockets to raise the $100,000. Excited to be awarded twice the amount they had asked for, the Business Club got down to business. The club's 30 students outlined an investing policy, which limited them to companies worth at least $1 billion. Diversity was also key to their plan. They decided to take stakes in two companies across six sectors (financial, health care, utilities, industrial, technology, and real estate) and not allow any single company weigh more than 15% of their entire portfolio. About a month ago, they invested $80,000 in 10 different companies, and will make the final two picks when they return to school next fall. So far, they're down about $2,500. Though the recent ups and downs in the market make the students anxious, they remain optimistic and are maintaining a long-term view. "It's definitely scary, but we know we can't be reactionary in this kind of climate," said Lewis Carlson, who will be a senior in the fall. The students admit they can be a bit obsessive about checking on the portfolio's performance multiple times a day, but who wouldn't be? The students also plan to rebalance the portfolio every six months to a year. While the main goal is to learn how to identify strong stocks and manage risk, the students also hope their portfolio's performance will beat the broader market as well as Greenhill's own endowment fund. "We'd love to beat someone at their own job," said Lewis, referring primarily to his father, the hedge fund manager . "We'll have to see," Hank chimed in. "We don't have quite as many resources and aren't nearly as experienced, but we have faith in our sector leaders and ourselves. We think we have a chance." If they do end up making money, they plan to hold onto it for the next few years. Down the line, they hope the fund will be substantial enough that they can give some of their profit back to the school. "Ultimately, we'd like to take our earnings from the year and put it into scholarships for other students to come to Greenhill and experience this club and all the learning that goes on here," said Lewis.